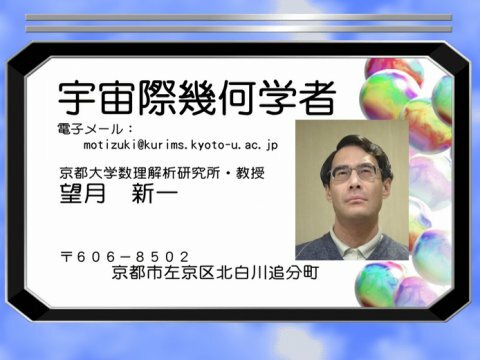 In a peculiar turn of events, Shinichi Mochizuki, a mathematician from Kyoto University, is really peeved — maybe even more than a little irksome — that nobody will read and review his solution to the ABC conjecture. To date, no errors have been uncovered, and yet the proof remains unverified. His work sits in a scientific nether region; his work is neither falsified nor supported as truth. Part of the concern at work in this controversy, we learn, is that the ABC conjecture (also known as the Oesterlé–Masser conjecture) gets its name from a simple equation — a + b = c — but the implications run deep in the mathematical community, especially that it provides answer to deep questions in the theory of numbers (number theory). “[F]ellow mathematicians,” he claims, “are failing to get to grips with his work.” On balance, however, his proof is 500 pages long of extremely dense material. Mochizuki’s current strategy: Put the proof on-line and wait. The solution from the mathematical community is for him go on a world tour and share his proof in person. According to a New Scientist essay, however, Mochizuki’s refuses to share his work through a series of talks and lectures — I Will Not Lecture, he is all but saying. Instead, he is proposing to train a few scholars in his technique so that at least someone is able to review his work and determine if there are any errors. My understanding of the math community is limited, but I am fairly confident that this is seen as abnormal behavior among insiders. I’d welcome some insight from the social studies of science community on this matter. The notion that some discoveries are, in effect, peerless — meaning, even seemingly equal peers in the scholarly community are unable to verify or falsify a truth claim — is relatively rare. Moreover, that Mochizuki won’t go on a “public tour” (let’s say) is also interesting because research in SSS has routinely shown that the frontier of math research is often a dynamic activity undertaken in person with others, which makes Mochizuki’s refusal all the more interesting. The New Scientist piece chalks it up to pride. I can understand that. It is unconfirmed, but a few stories on Mochizuki indicate that it took him four solid years of work to complete this proof. Possibly, he expected to be warmly embraced by the mathematics community, rewarded, lauded, and raised-up as a public figure of math for the world. Who knows? Mochizuki won’t talk, so we don’t know yet. This would be great to teach with: because his work sits in a scientific nether region; his work is neither falsified nor supported as truth, which makes this a good case study for teaching students about the philosophy of science, especially about the role of consensus among scholars as well as some more general notions of falsificationism and the work of the early logical positivists. This entry was posted in International, Methods, STS, Teaching, Theory and tagged Math, Mochizuki by Nicholas. Bookmark the permalink. from yer account he isn’t ruling out interaction in general just certain forms (by the way the training of others at one’s home site is not unheard of in lab-research circles), not sure of his particular psychology but perhaps a more interesting question for us (especially given us being ‘here’ in/on the blogosphere) is what approaches work better than others for transmitting/testing such works (as opposed to just what is traditional/expected), my guess is that as with all things it will depend on circumstances/projects/interests but those too can be tested and tried. Of course, I was intentionally being a little tongue-and-cheek, so please take that with a grain of salt. On that topic, of working better or worse: can there really be a better or worse way if each case is dependent on the particulars? I get the sense that better or worse implies a kind of comparison across cases (such as “under circumstances X, Y tends to work better”) but if in every case we are required to say “but it still depends on the particulars to determine what in fact WILL work better” (and, in principle, we can only know this afterward), then does it make sense to still discuss the better/worse dichotomy in such discussions? Frankly, I’m all for abandoning “best practices” as if because it worked in one environment it WILL work in another, but that’s not really the same discussion as the better/worse issue. hope that makes some sense, life calls,later.